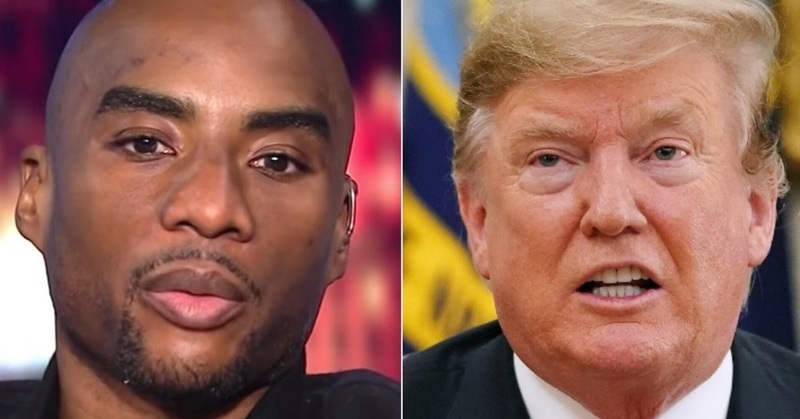 New York radio host Charlamagne Tha God isn't purchasing President Donald Trump's "don't give an F" frame of mind. "That is every one of the diversions," Charlemagne, host of the New York show "The Breakfast Club," revealed to CNN's Erin Burnett on Thursday. "I believe he's presumably the most uncertain man in America," he included. "He presumably returns home during the evening and cries since he realizes that paying little respect to how much cash he has, paying little heed to what position of intensity he's in, there are certain things about him he can't change." Charlamagne estimated that Trump's frailty depended on something little, for, disliking the measure of his hands. "I'm not kidding," he proceeded. "Since he's a domineering jerk. What's more, we've all had enough encounters with menaces throughout our life to realize that most domineering jerks are shaky. So I believe he's a standout amongst the most uncertain individuals ever. What's more, I truly think he returns home during the evening and sobs hysterically."